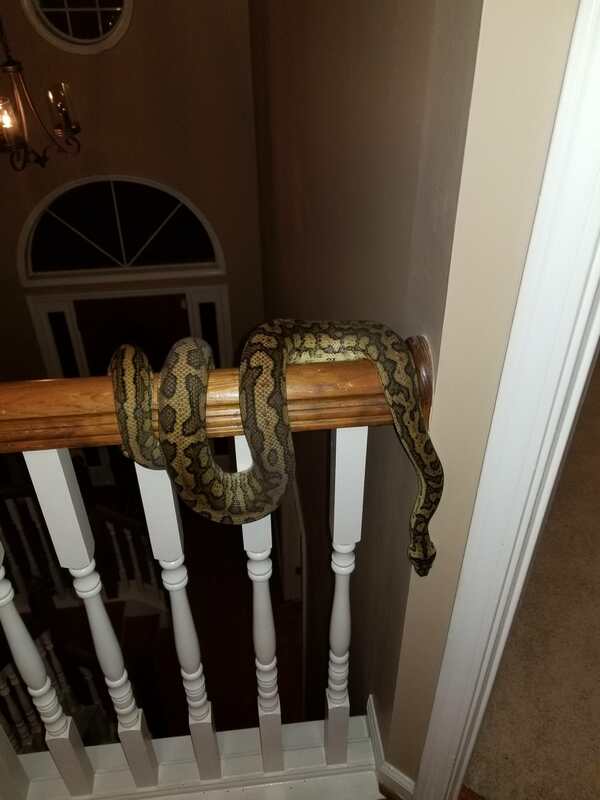 Does anyone reduce time beteeen meals or fast their carpet pythons during the winter? 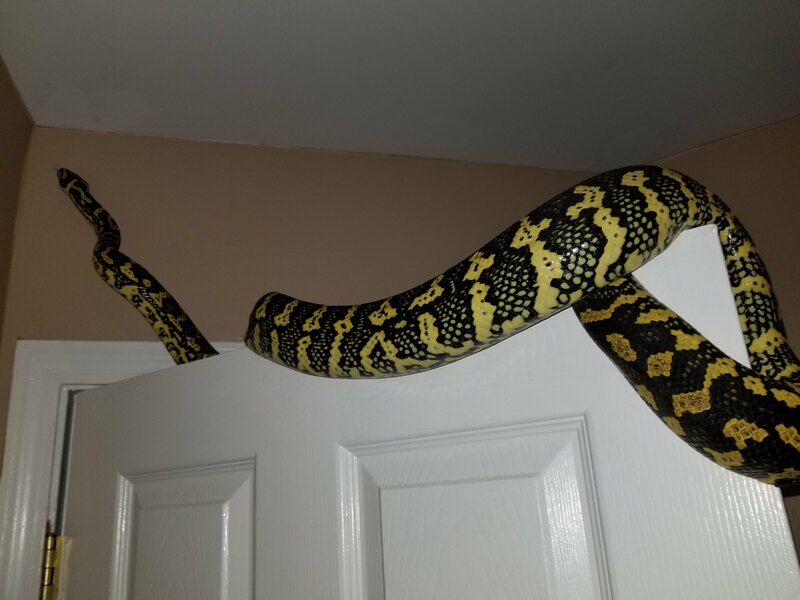 Re: Carpet Python Winter fast? nope.. i feed as usual, but you may find that as breeding season approaches, they go off food. They're always hungry and I always have my hook handy when I go in...they're so ready to eat. This will be my first winter reducing my carpets food intake. They normally eat every 14 days but I'll feed them every 3-4 weeks this winter. A couple of my males will naturally go off feed this time of year anyway. All of my carpets are juveniles or adults so I know the food break won't hurt them. Why do you reduce food intake? Is that something you do as a preference? Species related? Or is that something you're suppose to do with all snakes? It's just a preference. I could maintain their normal feeding schedule but I like mixing things up a bit. They're all a little older now so I know they can handle leaner winters. It can't be endless rats all the time. I know some breeders and keepers that don't feed their animals at all from November to March. I won't go to that extreme but a winter diet won't hurt any of them. I'll feed them smaller meals once a month. It'll also save me from ordering another round of feeders this year. Not even!! 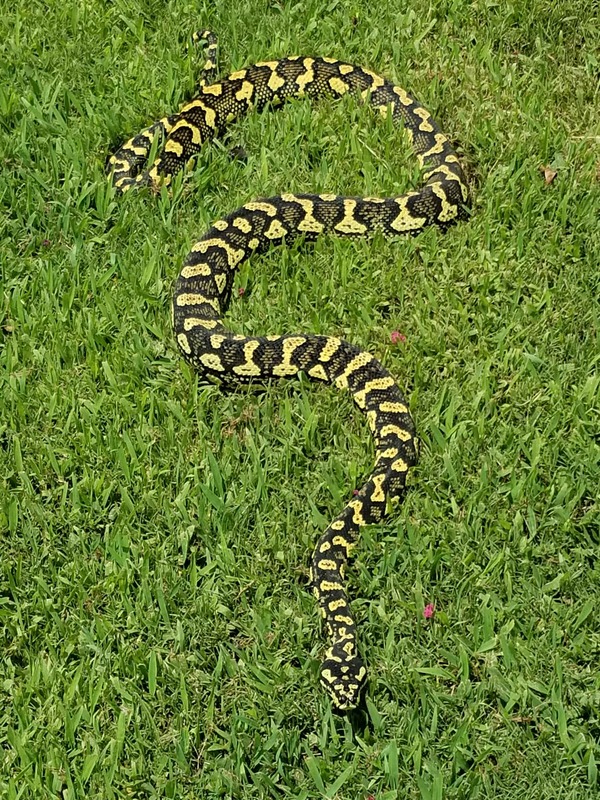 I like the thought of a winter fast for the snakes. I don't want them getting too soft and spoiled . They're still wild animals. Food and warmth aren't always in abundance in nature so there's a time of plenty and a time of lean in our critter kingdom. I also like structure and order. I normally only buy snake food twice a year but since I added 3 new snakes this year I've already ordered food 3x. Whatever's in the freezer now has to last until at least January. After last weeks feedings I have (7) large rats, (9) medium rats, (10) small rats, and (12) weaned rats. That's (38) feeders for 11 snakes or roughly 3.5 feeders each. They'll eat again around the first parts of Nov, Dec, and Jan instead of their normal bi-weekly feedings. Trust me they'll be fine. They can afford to miss a meal or two. 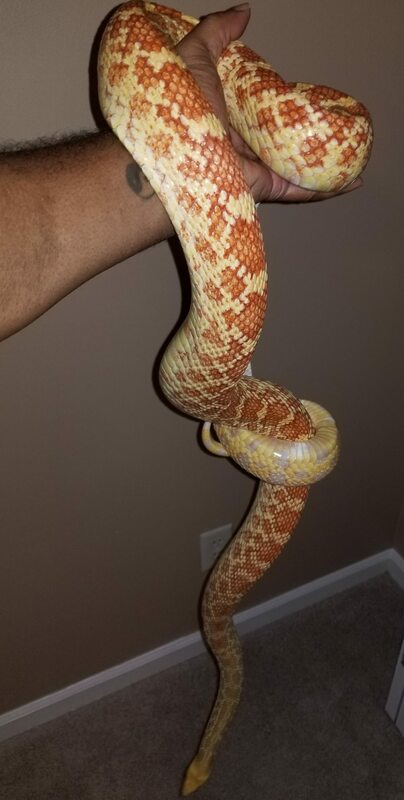 I normally only buy snake food twice a year but since I added 3 new snakes this year I've already ordered food 3x. Whatever's in the freezer now has to last until at least January. After last weeks feedings I have (7) large rats, (9) medium rats, (10) small rats, and (12) weaned rats. That's (38) feeders for 11 snakes or roughly 3.5 feeders each. GOD Thats nice. Hell, my food bill is about 600/700 a month. haha. EL Ziggy, your carpets are so big. It seems to me my carpet is a small one. Sorry my English Feel free to correct my mistakes. Kazz- They're not huge but they're hearty critters. 3 of my carpets are 6-7 ft at 3-4 years old. The other 2 are growing much slower. Your girl looked to be a pretty good size too the last time I saw her. 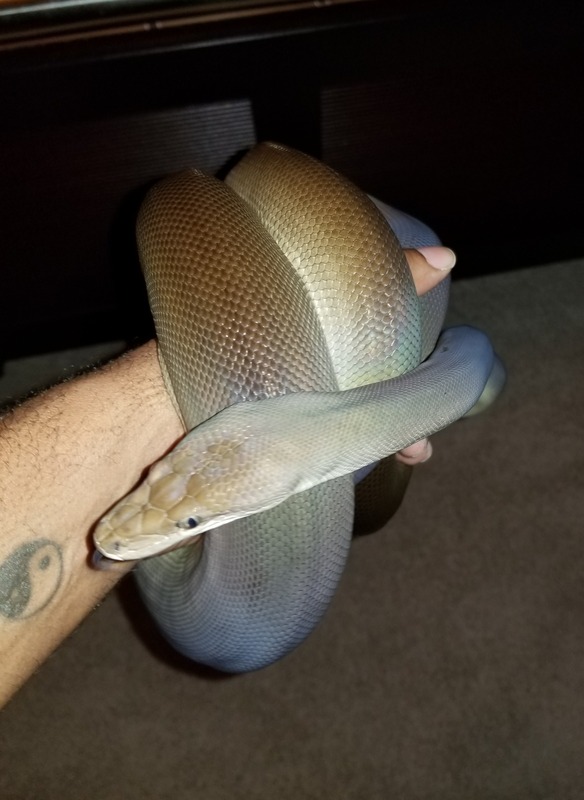 EL Ziggy, my carpet girl is the only 1.3m.